It is spring in this picture and the almonds are blooming. These trees are about four years old. Each blossom can potentially produce a nut. Not visible are the millions of bees that are at work pollinating the flowers. Without this beneficial insect, we would not have many of our fruits and nuts. 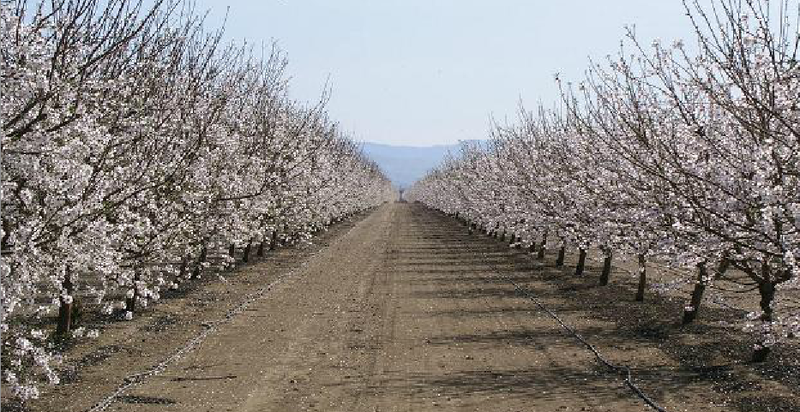 California is the only state in our nation where almonds are commercially grown. A large majority of our production is exported, and most of these go to Europe where almonds are very popular.